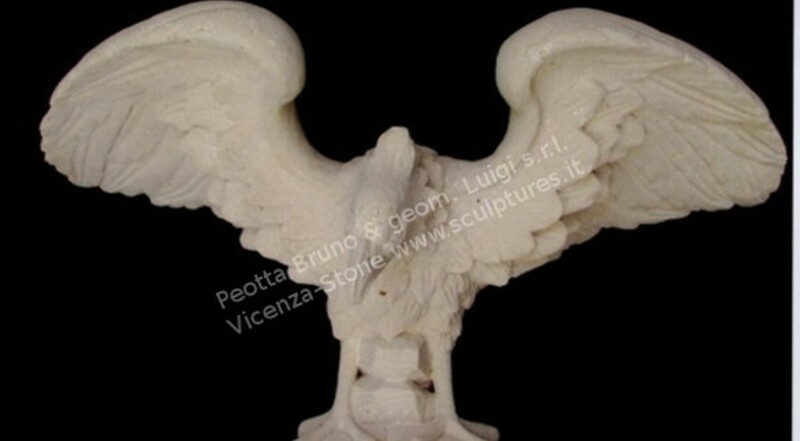 Eagle sculpture, the symbol of lots of States and Families. Austrian double eagles and much more. It was also used by Zeus in the past. The modern English name of the bird is derived from the Latin term "aquila" by means of the French aigle. The Latin aquila may derive from the word "aquilus", meaning dark-colored, swarthy, or blackish, as a description of the eagle's plumage; or from "aquilo", the Latin version of Greek boreas, or north wind; however, aquilus and aquilo may just as well derive from aquila (or be unrelated) and the latter be of unknown origin. Dimensions: Height 27 1/2" x Width 47" x Depth 31 1/2"